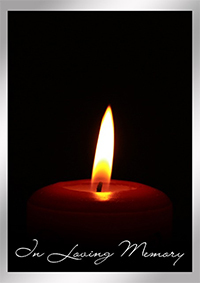 Alexandria Funeral Home 325 Washington St. Alexandria, KY Dec. 29, 11 a.m.
Carrie Ellen Wilson, 88, of Highland Heights, KY, passed away Sunday, December 23, 2018 at Carmel Manor in Fort Thomas, KY. Carrie was born July 3, 1930 in Newport, KY to the late Ronald M. and the late Ida Mae (nee Perkins) Wilson. She worked in the Accounting Department at Proctor & Gamble for 34 years. She was preceded in death by her parents and a brother, Ronald M. Wilson. Carrie is survived by her sister and brother-in-law, Nancy and James Morgan and many nieces and nephews. Visitation will be held on Saturday, December 29, 2018 at the Alexandria Funeral Home, 325 Washington St, Alexandria, KY from 9:00 AM until time of Funeral Service at 11:00 AM. Interment will be in the Alexandria Cemetery.